Happy with your Sewer Duck experience and think a friend or family member could benefit from our services? Refer someone & get $10 off your next scheduled service! 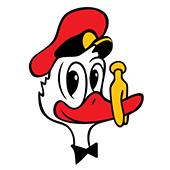 Sewer Duck appreciates all of our clients we’ve had the pleasure of working with over the past 30 years and we hope they enjoyed working with us enough to pass along positive feedback.